Check Out Our Range Today! Welcome to Medlock Firearms, a one-stop shop for every gun enthusiast. 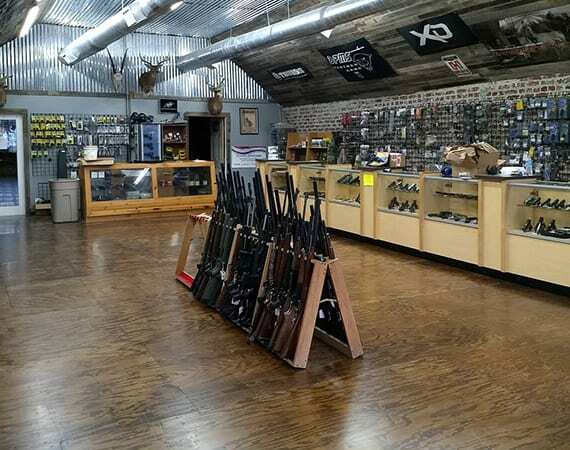 Medlock Firearms is a one-stop-shop for gun enthusiasts in Collinsville, OK. We offer great deals on all types of firearms, ammunition, accessories, shooting equipment and we are class 2 manufacturers. We take up any service pertaining to, whether it is building or customizing whatever you desire. We offer honest, friendly, straight forward advice, and full service for your firearms and accessories. Our inventory contains an exciting and wide variety of modern, antique, and military style firearms and accessories. We have a friendly atmosphere and a comfortable establishment, offering honest, friendly, straight forward advice and full service. Medlock Firearms also runs Medlock Pawn Shop. At our pawn shop, we buy, sell, and trade all types of products. Customers have the ability to sell, buy all types of products, be it firearms, instruments, tools, art and more. We buy anything that has value and try to pay the best prices. You can trade all your unwanted items with us. Medlock Firearms has been in business since 2002. We are class 2 manufacturers who buy, sell and trade fire arms. Established in 2002, our shop was created with passion for firearms. As avid shooters and hunters with bow, rifle, and muzzle loaders, we deliver a friendly atmosphere and comfortable establishment to suit your needs in the shooting and sporting industry. Get offered great deals on all types of firearms, ammunition, accessories, and shooting equipment. Call us today to know more about us. © 2018, Medlock Firearms. All Rights Reserved.